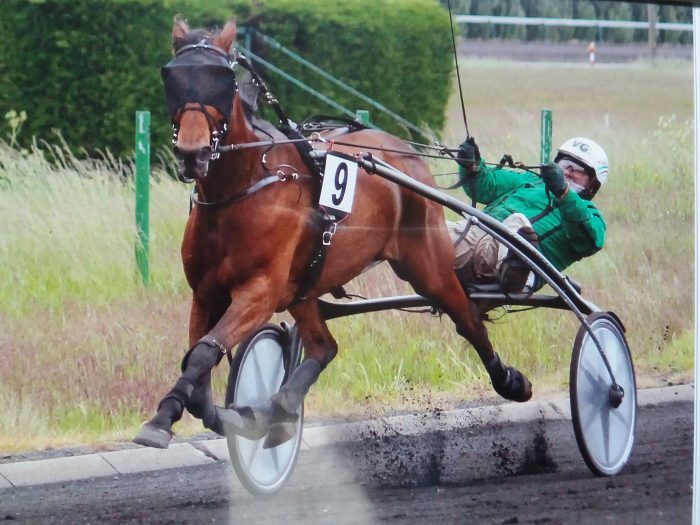 Jan Luytens is a prominent trainer in the world of trotting racing in Belgium and he has recently shared with us his thoughts on STORM and its benefits for this discipline in horses via his wife Betti. “My husband, Jan Luytens has a truly special gift for horses and became well known as a successful jockey in the Belgian trotting race world, especially for difficult horses. As a trainer his reputation has been confirmed over and over again in the past 20 years. He is known in Belgium, the Netherlands and Germany as an exceptional trainer in the sense that he can do the impossible with impossible horses. Jan is always looking to support our horses performance with natural products. Because he wants to breed for trotting racing in the future he does not want to use illegal products because they have long term a definite negative impact on the overall health of a horse. So he started searching intensely on the internet and came across your product. He analysed everything in detail, because it is not a cheap product and also he cannot easily be convinced. Once he was confident that Storm Equus was the product he wanted, he started using it. First of all to enhance the endurance but mostly to decrease muscle fatigue caused by the release of lactic acid. He has created his own food formula for Daylight Sonata which includes Storm Equus. For Hurry Up Sonata he has a different formula but it also includes Storm Equus.